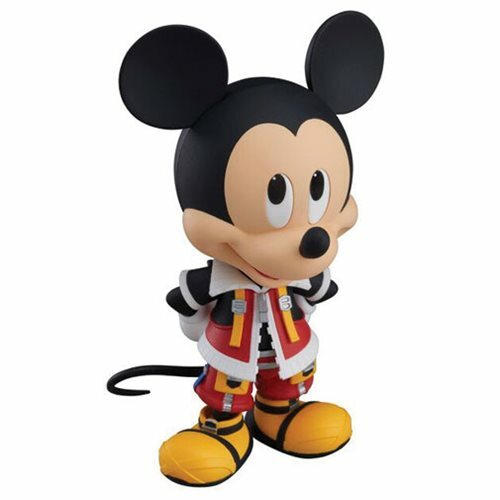 His Majesty King Mickey. 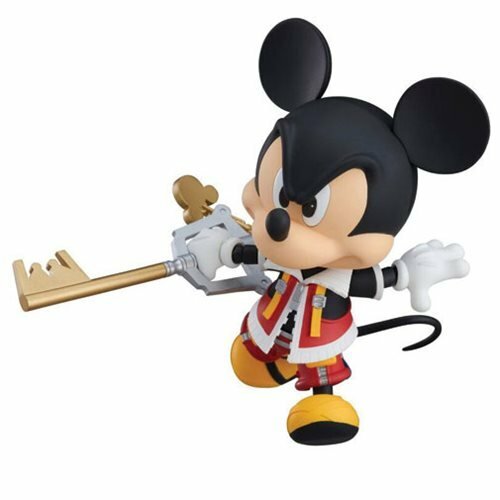 The long-awaited Nendoroid of the King has arrived! 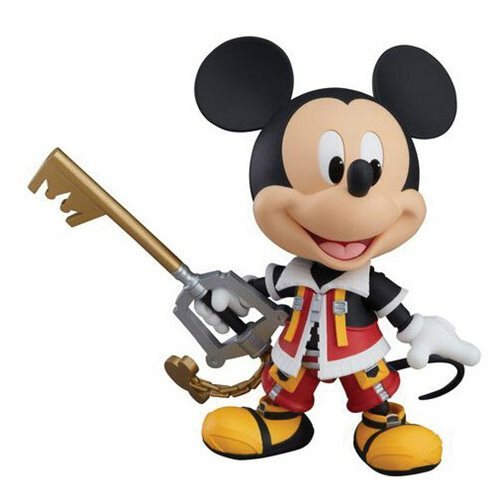 From Kingdom Hearts II comes the Kingdom Hearts 2 King Mickey Nendoroid Action Figure! He comes with 2x face plates and 4x pairs of interchangeable eye parts, making for a variety of different display options. 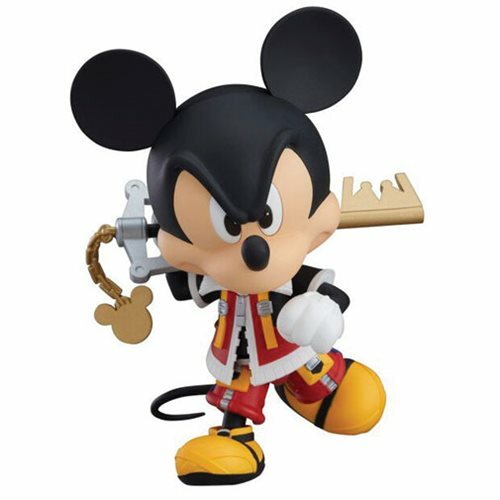 Featuring the most articulation of any previous Mickey Nendoroid, making it easy to recreate lively poses from the game, as well as any original poses you can think of. 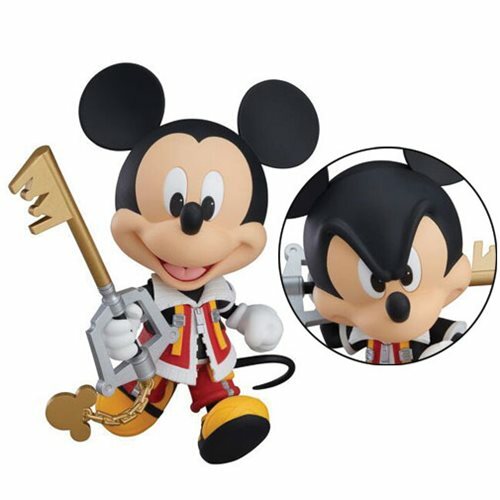 His Keyblade has been sculpted slightly large to properly convey Mickey's smaller stature. Measures roughly 4-inches tall.